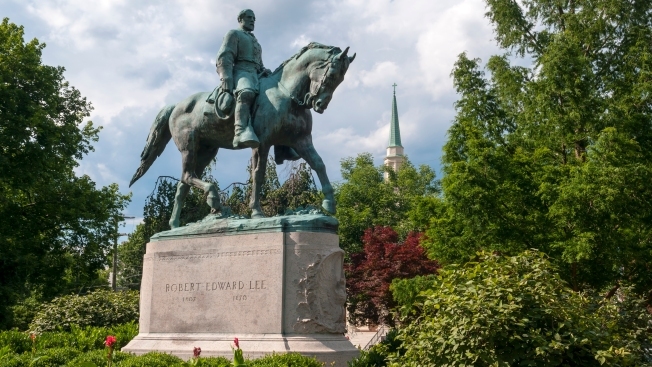 Statue of Robert E. Lee, Confederate Civil War General, at Lee Park in Charlottesville, Virginia. The city is planning to remove the statue. The Democratic mayor said in an interview Monday that he doesn't intend to make a habit out of responding to online trolls. But after white nationalists showed up burning torches in his city, he wants to show that neither he nor his community will be silenced. Hundreds of people gathered in the park with candles Sunday to speak out against the previous night's rally. Police said three people were arrested after scuffles broke out. Whew! Lot of trolls out tonight. Must be doing something right.